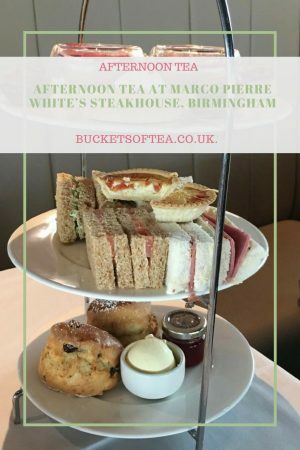 A couple of weeks ago for Afternoon Tea week I went to the Steakhouse Bar And Grill on the 25th floor of The Cube, Birmingham which is owned by Marco Pierre White. 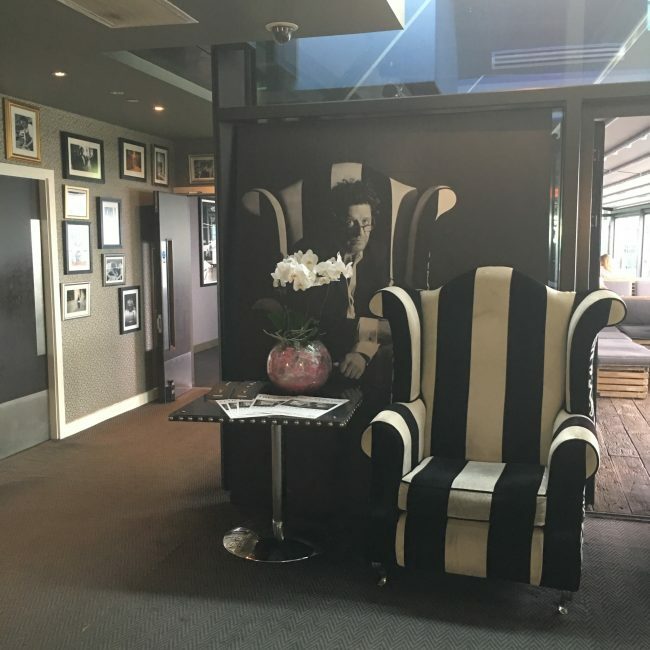 The Steakhouse is decorated in a very modern theme, all black and white with a touch of colour here and there in the classic decorations. The bar is all ultra modern with shiny chrome and glass with a touch of orange lighting. 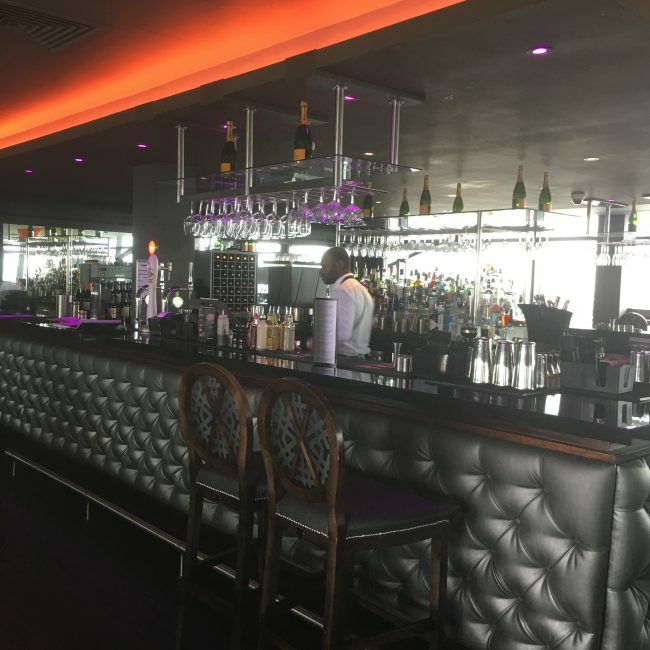 the room is large and airy and has a very opulent feel to it with a number of large comfy sofas over looking an outside balcony which is just perfect for summer drinks over looking the city centre. 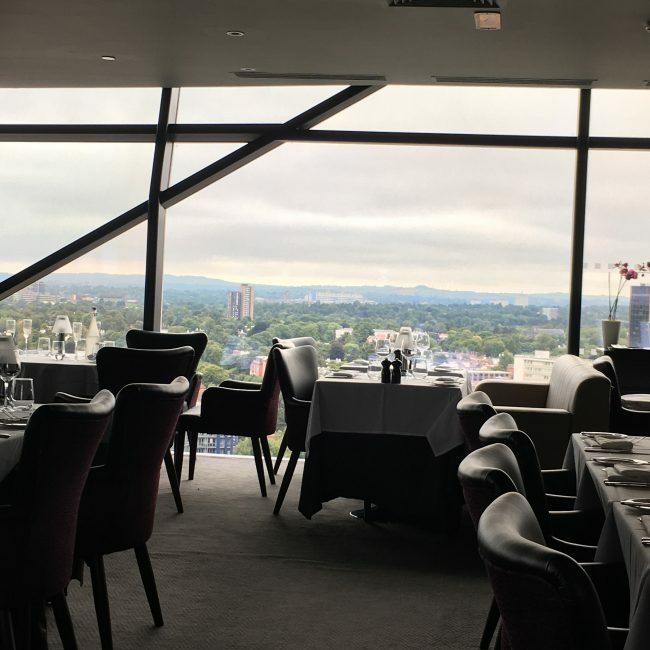 With glass windows floor to ceiling on three sides of the restaurant you have amazing views across the city. it’s not until you are high up over looking the surrounding area that you can actually see how much green space there is within the city. on ground level Birmingham city centre just seems all built up blocks when in fact the skyline is very different. The restaurant is filled with classic photos of Marco Pierre White over the course of his career. The tables are all set with crisp white table cloths, napkins and white crockery. 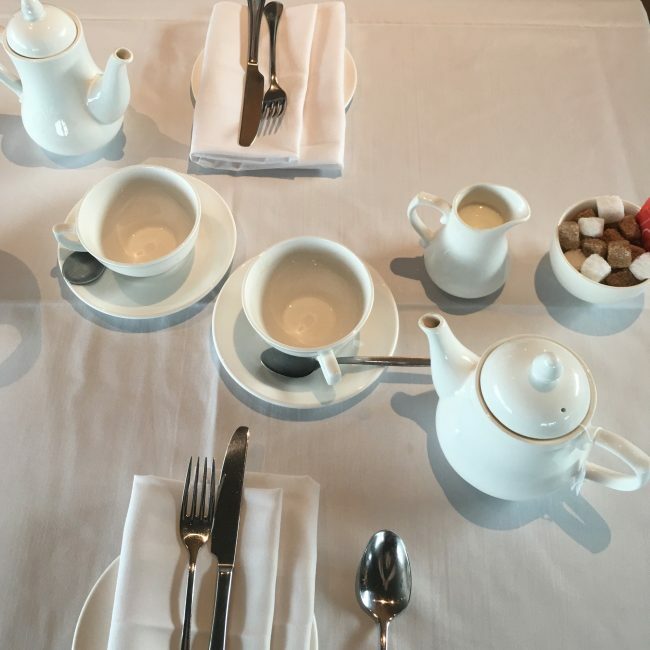 The afternoon tea comes with unlimited pots of tea or coffee. the tea was nice but I am a fan of slightly stronger tea. I think the issue is down to a pot of tea serving 2 or 3 cups but there is only ever one tea bag used. Personally if I was t home I would use more tea in the pot than I found is used for pots of tea when out. i also much prefer loose tea to tea bags and feel that loose tea has more flavour than bags and give a more luxurious feel to an afternoon tea. 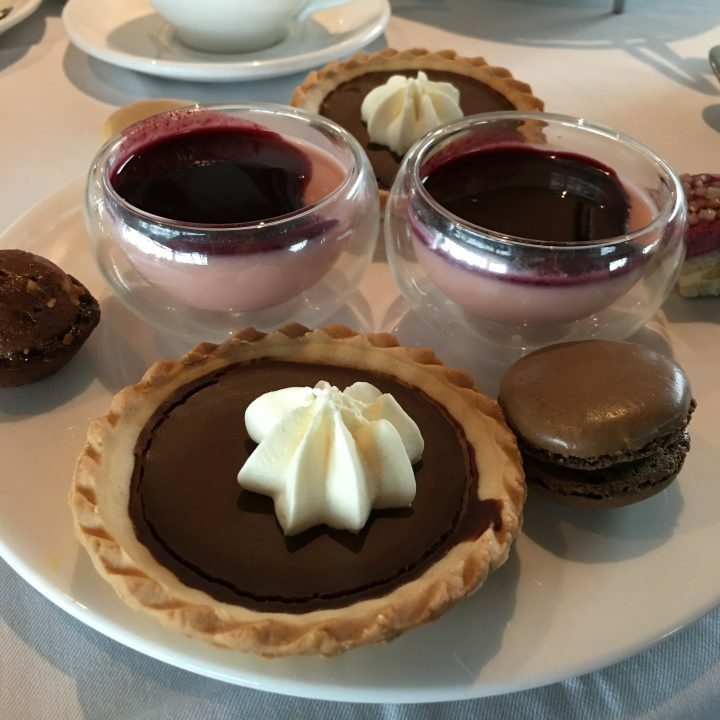 After around 15 minutes our afternoon tea was brought out to us. 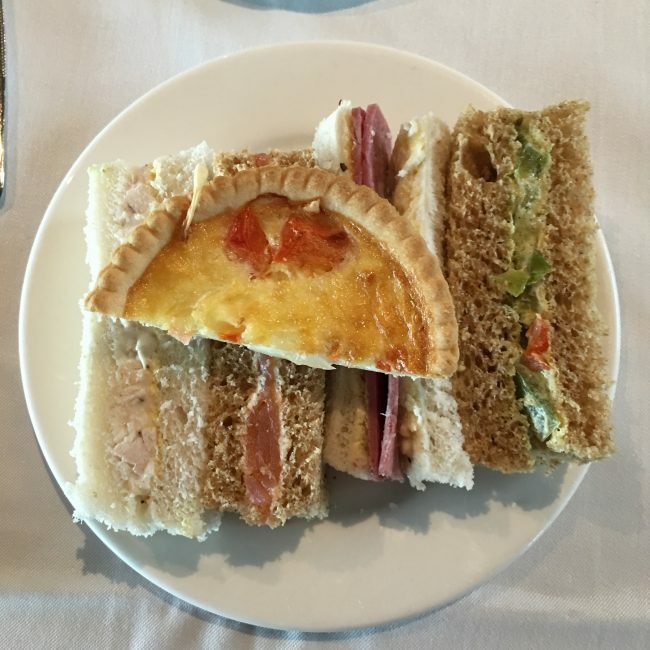 There was a selection of sandwiches, a half quiche, a fruit scone and a selection of mouses, tarts, cakes and macaroons all served on a three tier cake stand. 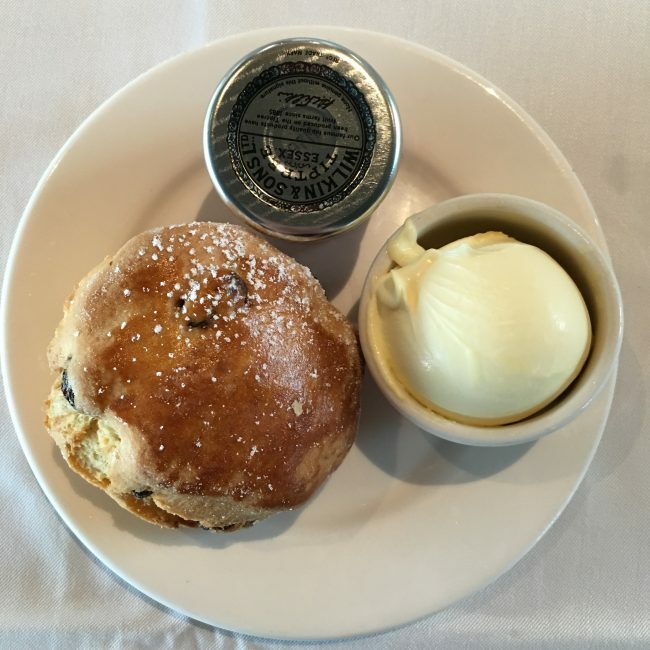 A freshly baked fruit scone served with clotted cream and strawberry jam. when we came to pay as I have had a quite few afternoon tea’s and apart from this tea at Marco Pierre White’s I have never been charged a service charge on an afternoon tea before this. Overall, the food was nice but this is the first time I’ve left a hotel/tea room and have not felt full. Quality of the food was lovely but I certainly noticed the difference in that there was only one scone whereas usually there are two. 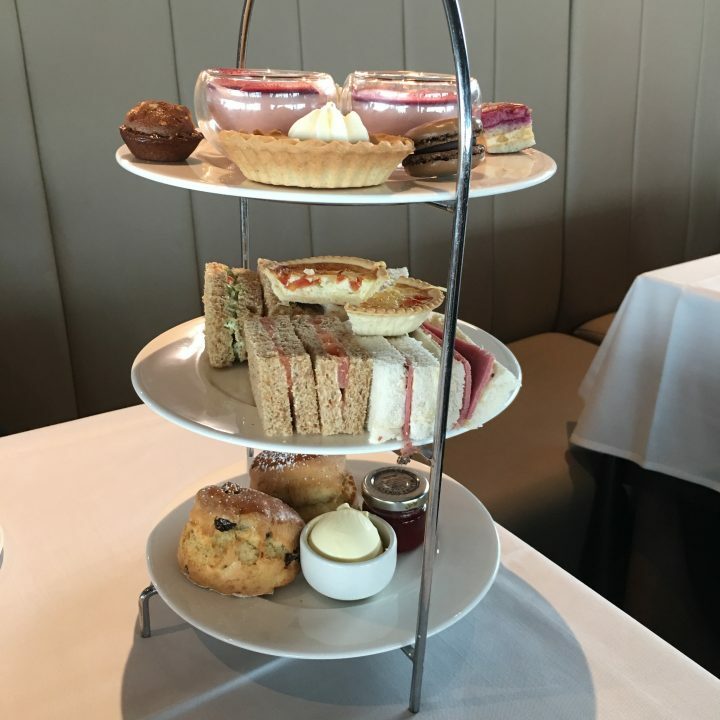 The afternoon tea was priced at £20 plus the 10% service charge. You have a beautiful Webdesign and a great niche. I love the beautiful pictures I found here and a great thing reading your blog. 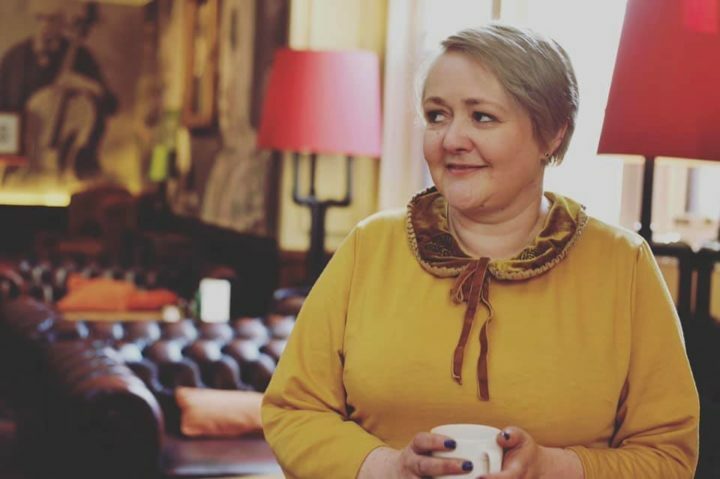 Sounds like you had a fabulous afternoon tea. I think the staff should always inform about any extra charges prior to the order placement.